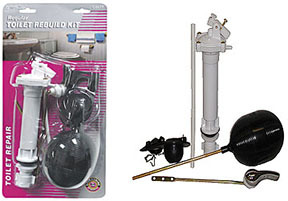 TOILET TANK REBUILD KIT 8"
Everything needed for a complete overhaul of tank components. 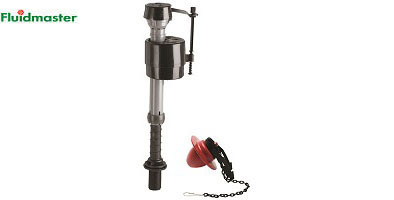 Kit includes the top selling 400A fill valve, flush valve with Bull's Eye adjustable flapper, chrome handle tank lever, and gasket with bolts. Stops noise and dripping. Adjustable from 9" to 14". Refill tube included. 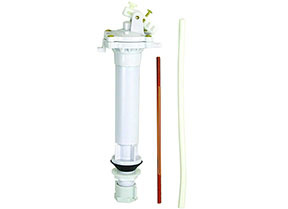 Anti-siphon with filter. Provides fast water shut-off to minimalize water loss. Filter prohibits particles from clogging other parts. 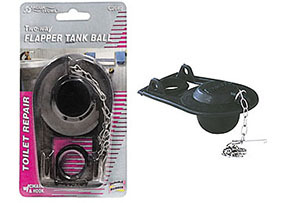 Adjustable from 9" to 14" to fit most tanks. Corrosion-resistant. Non-corrosive, complete with flapper tank ball, chain, nut and washer. Integral 1" overflow tube. End Leaks At The Tank Drain. 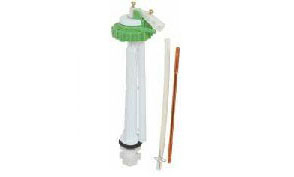 Includes Durable, Chlorine Resistant Flapper. Fits Most Toilets. Easy To Install. With stainless steel chain and hook. With ears and vinyl strap. 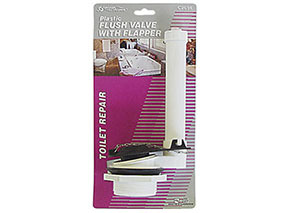 Includes new drain seat for repairing older, corroded flush valve drains. 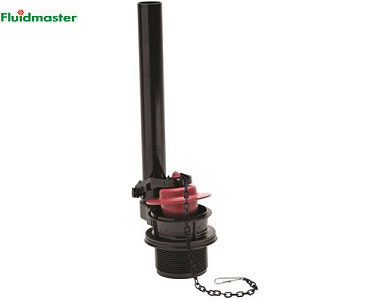 Adjustable timing cup for most efficient flush. 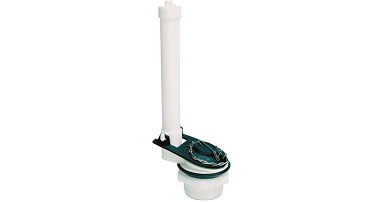 Chlorine-resistant flapper for harsh water conditions. Thermoplastic flapper. Floating chain. Adjustable settings to conserve water with most tanks. With adapter ring for 1" flush valves. Ideal for leveling closet bowls. Shims can be stacked in the same or opposite direction to fill any gap. Plastic can be trimmed with utility knife. Dozens of uses on job site, home, office. 1-3/16"W, 2"L.
Fits 3" and 4" openings. Waterproof and oderproof. Complies with Federal Specifications #TTP-1536A. 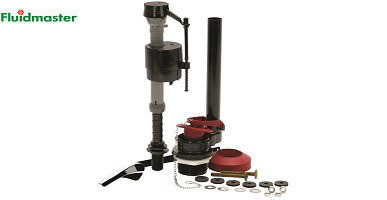 Eliminates need to replace broken cast iron or plastic ring. Protects leakage from sewer, gas and water. Helps stop seepage from base of toilet. Stops rocking toilet and saves you time and money. Price per ea.